Nutritionist Jessica Campbell looked into comfort eating for Living Well magazine to bring us these insights on ‘normal’ seasonal eating variation and what is perhaps comfort eating with an emotional element. Over winter, you may find yourself reaching for much heartier meals than you would in summer. For many, bread, pasta and seasonal root vegetables become an irresistible staple – or chocolate and wine in front of the fire. There are three key drivers in winter weight gain: we tend to exercise less; eat more; and emotional eating habits can become heightened by changes in our hormones. Changes or variations in our eating patterns (meal size and food choices) can be equated roughly with the seasons. Some researchers suggest we are most likely to overeat in autumn, in the lead-up to winter. During this time the shortening days and cooler temperatures signal a change in our hunger hormones in ways that make food less satisfying and so we eat more. This makes sense for the traditional hunter gatherer – autumn is the time to top up the fat and energy stores before the scarcity of winter – but this adaptation is not helpful for those of us who hunt and gather at the supermarket. It’s important to keep this in mind when making food choices! 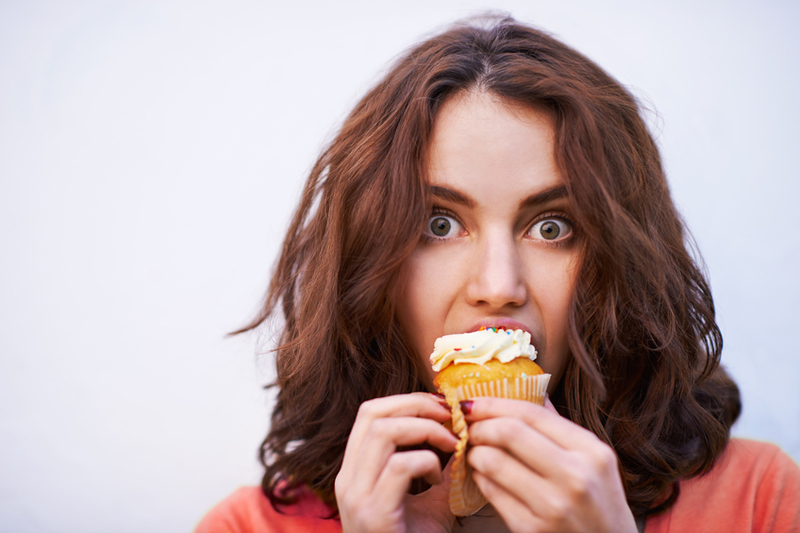 Cravings for carbohydrates and sugars has a lot to do with serotonin, our feel-good hormone. Shortened days and lower levels of activity reduce serotonin production and this may be particularly pronounced in those who suffer seasonal-affective disorder (SAD) in winter. Low levels of serotonin lower our mood; meanwhile, foods high in carbohydrates help to increase our levels of serotonin, so we naturally crave and eat carbohydrates and sugar. However, the mood lift is short-lived and sees us returning to the pantry a short time later. (This is one of the reasons very low carbohydrate diets are hard to stick to). On the topic of hormones and hunger, menstrual cycles and fluctuations in oestrogen and progesterone impact our hunger, increasing appetite and cravings for carbohydrates, sugars or comfort foods. This is particularly pronounced during the luteal phase, the time between ovulation and menstruation when PMS is peaking. Work with your natural hormone changes, don’t battle them. This might mean enjoying a cup of tea with a few squares of chocolate or changing your exercise from HIIT (High Intensity Interval Training) to stretching for a couple of days. Make changes that are right for you and your body. If you listen, it will tell you. While winter sport enthusiasts are not put off by nasty weather, if you’re not a keen athlete you’re likely to skip your early-morning exercise for an extra hour under the duvet! But exercise not only helps to keep us fit, it is also important for our mental health, regulating mood and feelings of wellbeing. 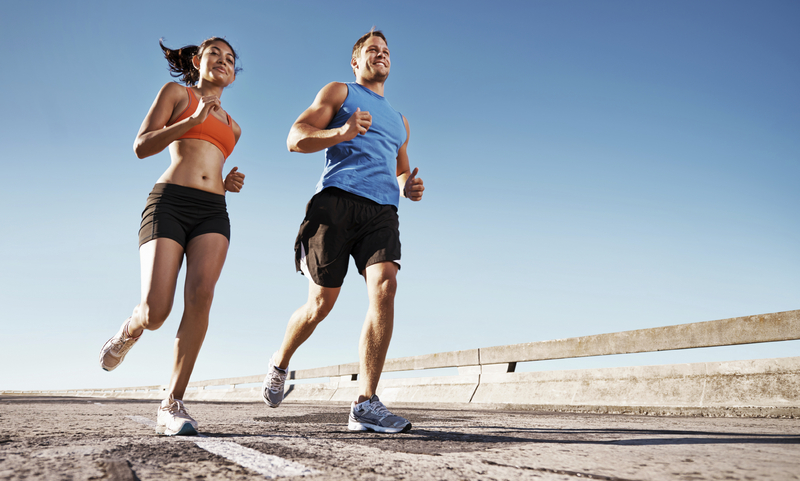 Continuing to exercise throughout winter can help to alleviate some of the low mood (and subsequent carbohydrate cravings) associated with seasonally-reduced serotonin levels. It might just mean switching up your routine, such as exercising in your lunch break or choosing an indoor activity for a few months. When we eat for reasons other than nourishment we’re less likely to be able to distinguish when we’re full or satisfied. 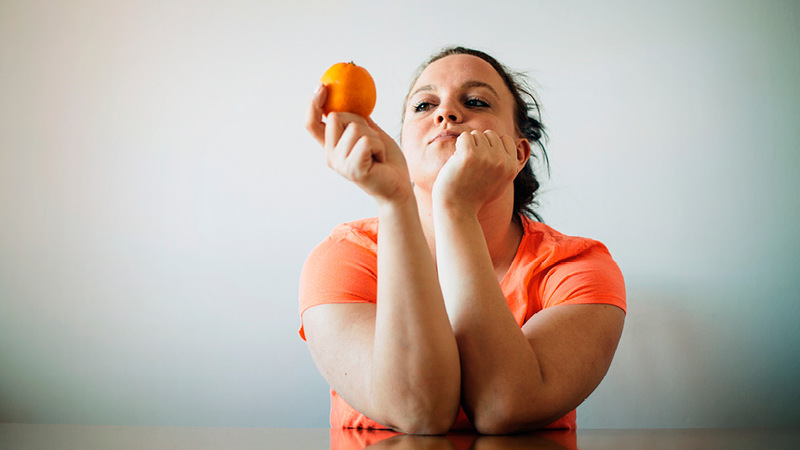 Emotional eating is not just eating because we are sad or stressed, anxious or bored. We can also find ourselves eating to celebrate, to show love and contentment. Food is intrinsically connected to our emotions and I encourage you to consider your relationship with food. Do you use food to push down uncomfortable feelings or thoughts? If that’s the case, food may provide comfort for a short while, but feelings of guilt, remorse or failure are likely to follow, further feeding into the cycle of emotional eating. Food cannot provide a feeling of satisfaction for emotional discomfort yet many emotional eaters will overeat in the hopes of finding it.